Solid brass construction. Pull out head set (hose 1.5m long). Ceramic disc. Working pressure 0.5 - 6.0 bar. Height from surface to centre of spout when in base 125mm. 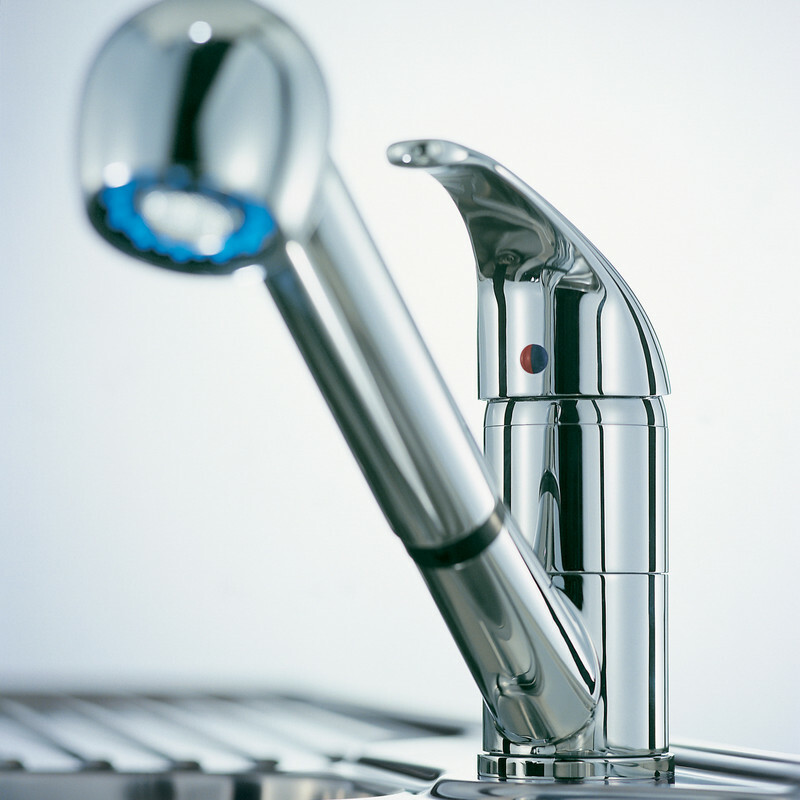 Includes 2 x tap tails (350mm long). Titan Mono Kitchen Sink Mixer Tap Polished Chrome is rated 4.6 out of 5 by 10. Rated 5 out of 5 by Bill 1802 from Handy mixer tap. Just installed this tap in our utility room. It is very handy for cleaning and my wife uses it to wash her hair. Found it easy to install. Rated 5 out of 5 by Fighter from Titan Mono Kitchen Sink Mixer Tap It a qulity product, I recommend it. 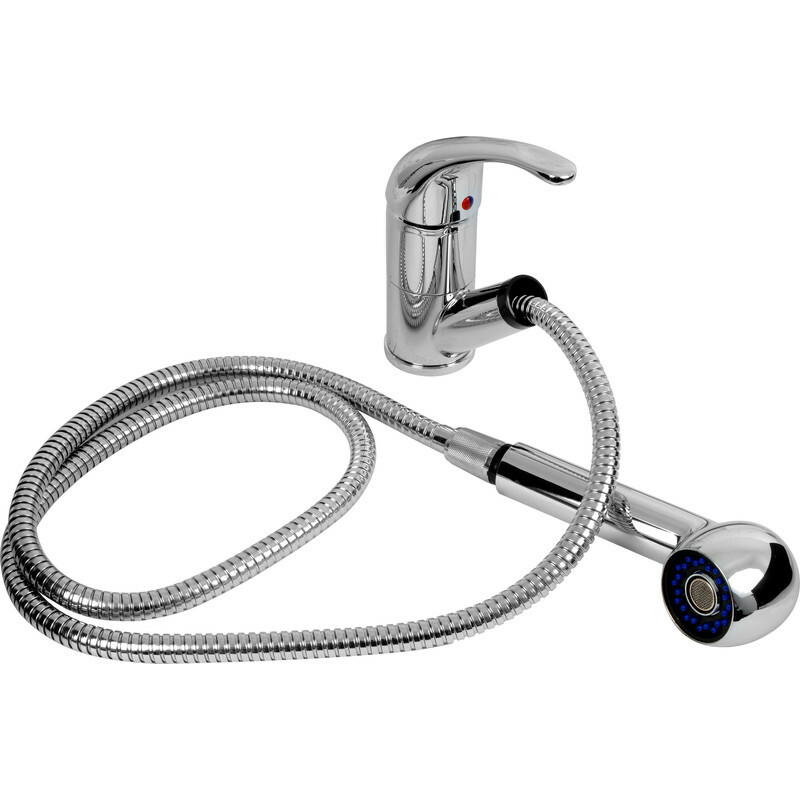 Rated 5 out of 5 by XXXXXXXXXXXXXX from Great tap for low pressure systems like mine This was a replacement of a similar but worn out tap and it has proved to be much better than the old one. The book said that it was suitable for pressure down to 0.5 bar but the instructions in the box quoted 0.3 bar. It is certainly a higher flow rate the the old one. I think the pull out flex hose will last longer as well as it is not just braided in plastic mesh. One very happy customer. Rated 5 out of 5 by paintingman from A very versatile tap fitment We have had a couple of these installed for many years and are very happy with them. They are great for hair washing and for filing large and enormous containers, also for filling one cup water boilers if placed nearby. Spare parts available on ebay. Rated 5 out of 5 by ggdadjon from Extra feature bonus This is my idea of the perfect sink tap system. I had assumed the spout would remain pointing over the sink, who ever rotates the spout to the side to give unobstructed access to the sink, ME. Bonus it can rotate!